Can The 1600HP Hennessey Venom F5 Hit 300 MPH?! Engineering Explained is one of the greatest automotive You Tube channels out there. They have always been breaking down complex automotive things into more simple terms that we can understand. If you are a total newbie when it comes to everything automotive, Engineering Explained can definitely teach you a lot. In this one, the topic is the monstrous Hennessey Venom F5 that produces 1600HP. Like with every Engineering Explained video, the host in Jason and his trustworthy whiteboard. 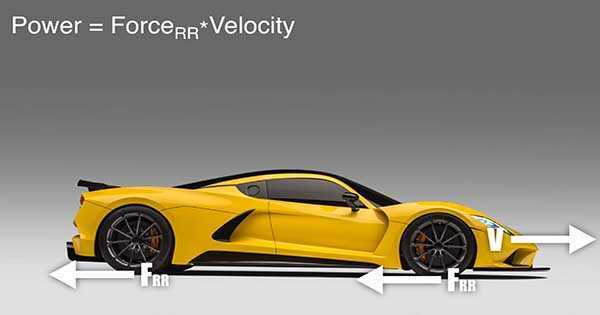 He explains a wide range of features related to the Hennessey Venom F5. However, not all of their videos are related with performance vehicles. Nevertheless, Jason has definitely taken a very keen interest when it comes to the performance world. Like with every video related to performance vehicles, he thoroughly explains how the F5 is able to do that – reach 300 mph. Now, the 300 mph benchmark is one magical barrier to beat. That said, Hennessey is a company that can do pretty much everything and never fails to surprise. All of those 1600 mad horses come from a V8 twin turbo. This makes the car the first production vehicle to ever smash the 300 mph barrier. Its predecessor, the Venom GT, managed to clock an impressive 270 mph run. However, the car is hand-built so many people are not actually considering it a production car. However, whether the Hennessey Venom F5 will manage to reach its designated top speed or not, only time will tell. Everything will be clear when they release the first car for testing. Finally, read more about Hennessey Venom GT specs here!